Produktinformationen "ACE VENTURA 20 cm RETRO ACTIONFIGUR"
From the 1994 comedy Ace Ventura: Pet Detective, this clothed action figure is based on Jim Carrey's hilarious performance as Miami's best/only pet detective. Ace stands 8" tall and is fully articulated. He comes with plenty of accessories, too: swappable heads, monkey, parrot, dove and more! Window box packaging. 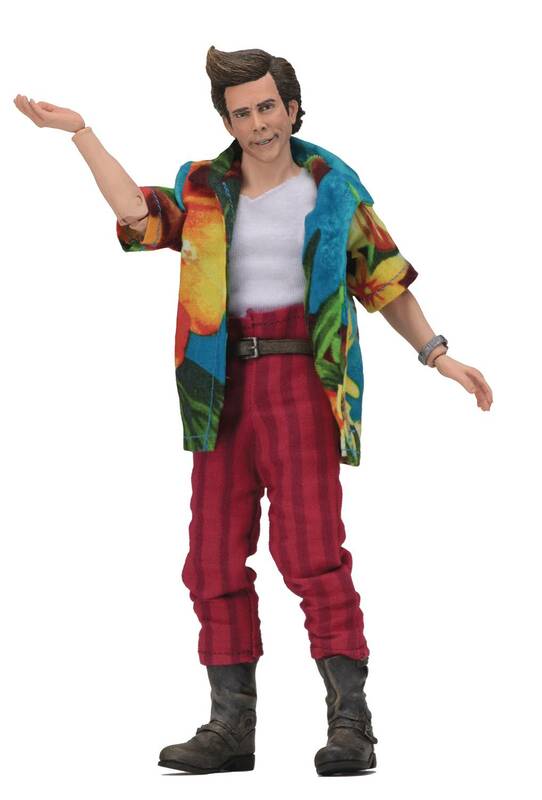 Weiterführende Links zu "ACE VENTURA 20 cm RETRO ACTIONFIGUR"
Kundenbewertungen für "ACE VENTURA 20 cm RETRO ACTIONFIGUR"